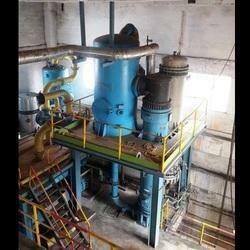 Providing you the best range of steam jet booster ejector system, graphite steam jet ejector system, non condensing steam jet ejector, steam ejector system, steam jet ejector and steam jet ejector surface condenser with effective & timely delivery. Steam Jet Booster Ejector System produced by us is made using the optimum quality material, which is obtained from the trustworthy vendor of the market. We have a team of quality controllers, who are involved in the testing of the raw material as well as finished products. 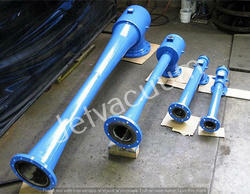 These products are also offered at leading industry rates. We are engaged in offering a comprehensive range of Graphite Steam Jet Ejector System. These are not only manufactured but we are also engaged in supplying and exporting of these products. Excellent quality of raw materials is used in the production process & we have gained enormous customer trust in the area. 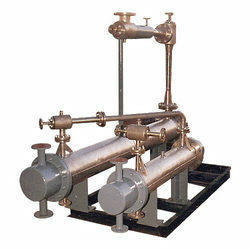 We are one of the leading manufacturer and suppliers of Non-Condensing Steam Jet Ejector with the use of high quality of material as per the industry standards. 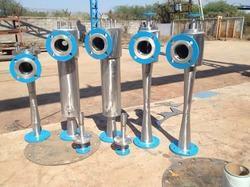 We provide our esteemed clients fine quality Steam Ejector System with Indirect Contact Condenser. These products are made using high-tech equipment and finest material procured from trusted vendors of the industry. Once the final product is ready, we keep them at our whimsical warehouse, which is segregated in different units. Steam Jet Ejector is based on the ejector-venturi principal and operates by passing motive steam through an expanding nozzle. The nozzle provides controlled expansion of the motive steam to convert pressure into velocity which creates a vacuum within the body chamber to draw in and entrain gasses or vapors. The motive steam and suction gas are then completely mixed and then passed through the diffuser or tail, where the gasses velocity is converted into sufficient pressure to meet the predetermined discharge pressure. 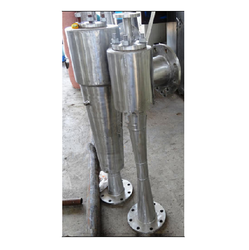 We are leading manufacturer, supplier, and exporter of Steam Jet Ejector Surface Condenser. The product is fabricated using high - grade raw material and latest technology. These products along with Tube Condensers are tested under different quality parameters supervised by our team of quality controllers. Furthermore, the packaging material used by us is of the finest quality. 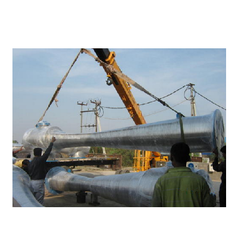 We are a preeminent organization that is engaged in manufacturing, supplying and exporting high-grade Steam Ejector Systems in Turbine application. Steam turbines are designed for efficiency and thus attempt to extract as much energy from steam passing as is physically possible. 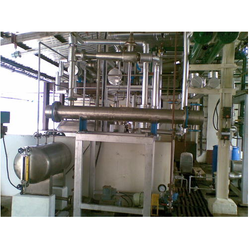 We are dedicatedly engaged in manufacturing and exporting a wide array of Vacuum System. A team of trained and experienced professionals is hired by us to manufacture the offered ejectors and systems. These professionals make sure that high-quality components and spare parts are used in the production process.